Photo courtesy of the London Lightning. 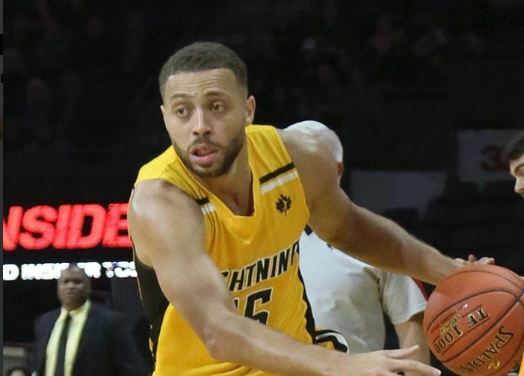 The Lightning’s hopes for a third straight NBLC championship were dashed Sunday, when they were eliminated from the NBLC playoffs with a 109-93 loss to the K-W Titans in the deciding Game 5 of their series at Budweiser Gardens. The Lightning forced the deciding game of the series with two straight wins after falling behind two games to none in the best of five series. The Lightning never seemed able to keep pace with the Titans on Sunday, falling behind by 8 points by the end of the first quarter. The Titans extended their lead to 11 at the half. By the end of the third quarter, it was 75-64 for the Titans. Jaylen Babb-Harrison led the Lightning with 18 points. The Titans will now go on to face St. John’s in the next round of the playoffs.